September 25, 2018 – North Carolina Building Performance Association (NCBPA) today released a report projecting the potential for $13.9 billion in energy savings in North Carolina over ten years. The NCBPA report found that $13.9 billion in energy savings is achievable by enacting policies that promote consumer education, energy efficiency financing programs, strengthening building codes and enabling the development of innovative new energy saving programs for all building types – residential, commercial, public and industrial. If opportunities are maximized with a 16.8 percent increase in energy efficiency investment over ten years, the report finds that these efforts would create 53,200 new jobs and result in a 0.6 percent increase in the state’s Gross Domestic Product (GDP). 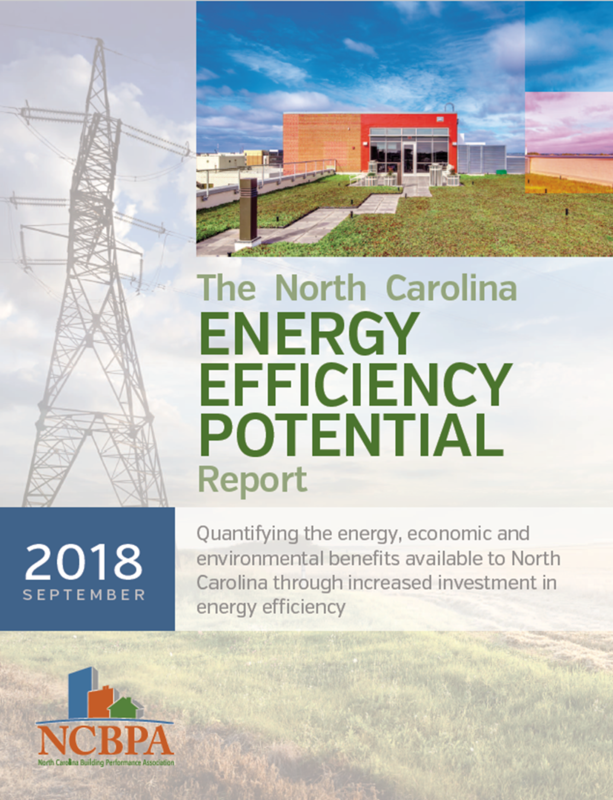 The report concludes with sample legislation that sets in motion an “Energy Efficiency First” strategy for addressing North Carolina’s current and future energy needs. NCBPA estimates a $5.15 return for every $1.00 invested in energy efficiency, far greater than other energy sources. Visit our Research & Reports page to download the report. North Carolina Building Performance Association (NCBPA) is a 501(c)(6) not-for-profit trade association of building performance professionals and companies leading high-performance construction in the state through quality construction, workforce development, political advocacy, public education and member services. The association works with member companies and partner organizations to promote opportunities that improve the quality of buildings in North Carolina so that all residents and businesses can live and work in healthy, safe, durable, cost-effective and environmentally friendly homes and buildings. Visit www.BuildingNC.org for more information.